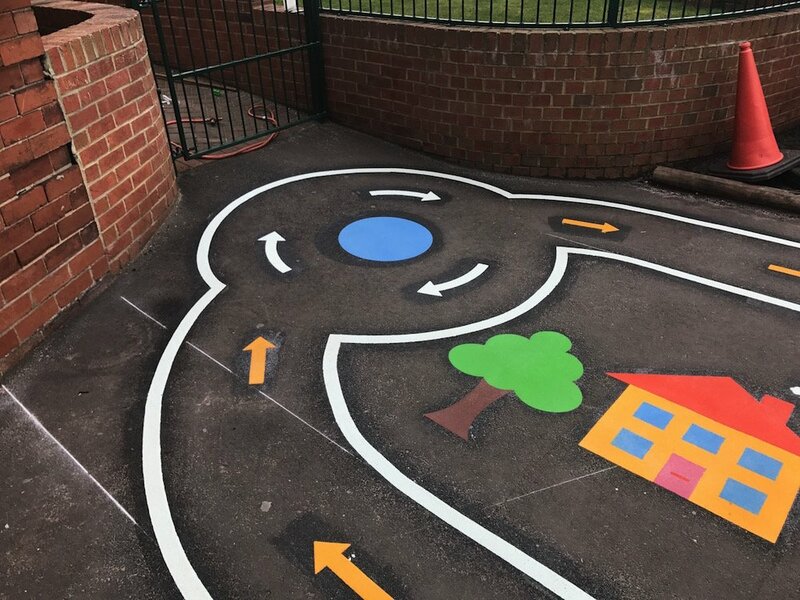 The team recently installed a colourful new Cycle Track at South View Nursery in Newcastle. 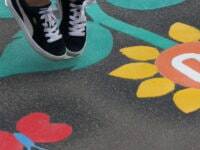 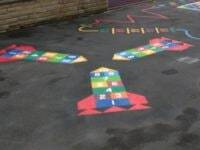 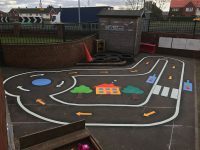 Staff member Danielle contacted first4playgrounds for ideas on how to squeeze a Cycle Track and more onto their schools modest sized playground. 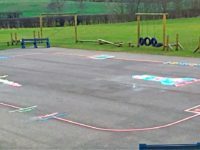 After we popped down for a site visit we used our computer to draft up some initial ideas for a design that would maximise the space available. 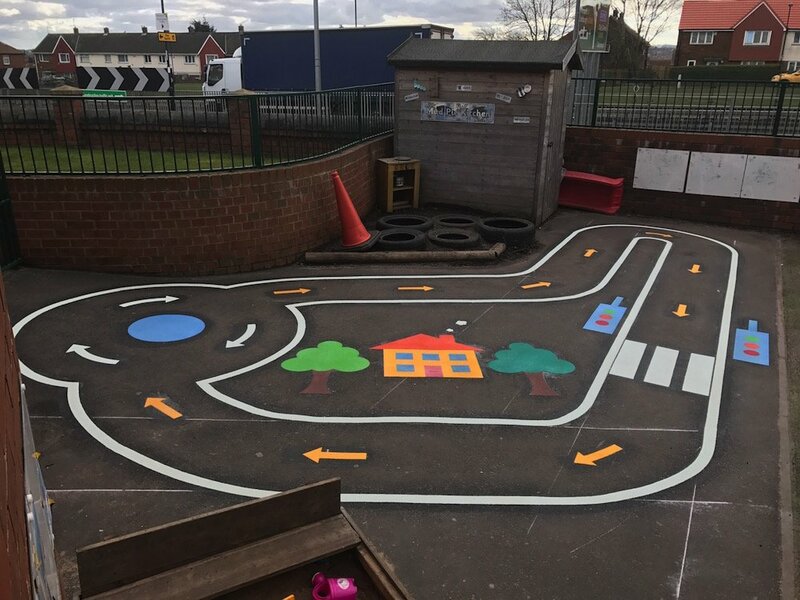 We then worked with the staff to tweak the design so we had a Cycle Track with Traffic Lights, a House, a couple of Trees, a Zebra Crossing and a Roundabout as well. 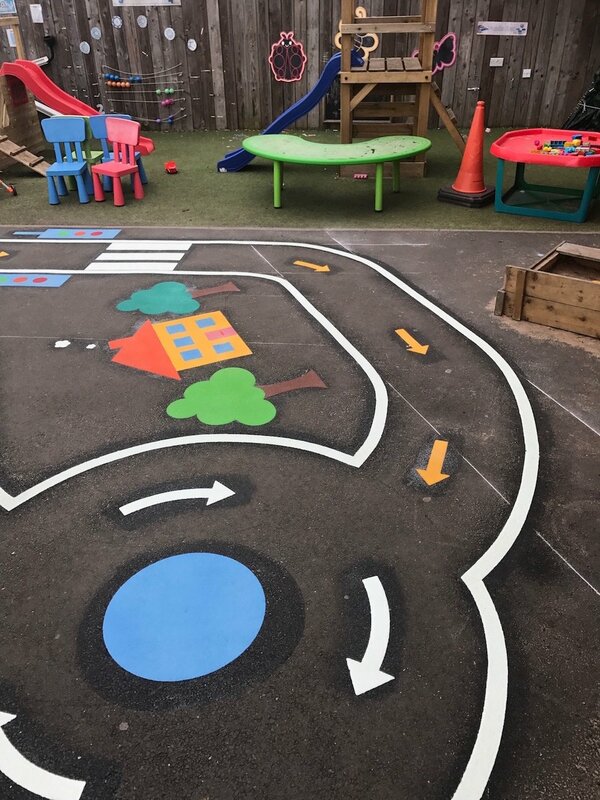 As the Nursery Playground was modest in size the work could not have been done during playtime hours so we worked with the school to arrange access times which would not interrupt the children’s play. 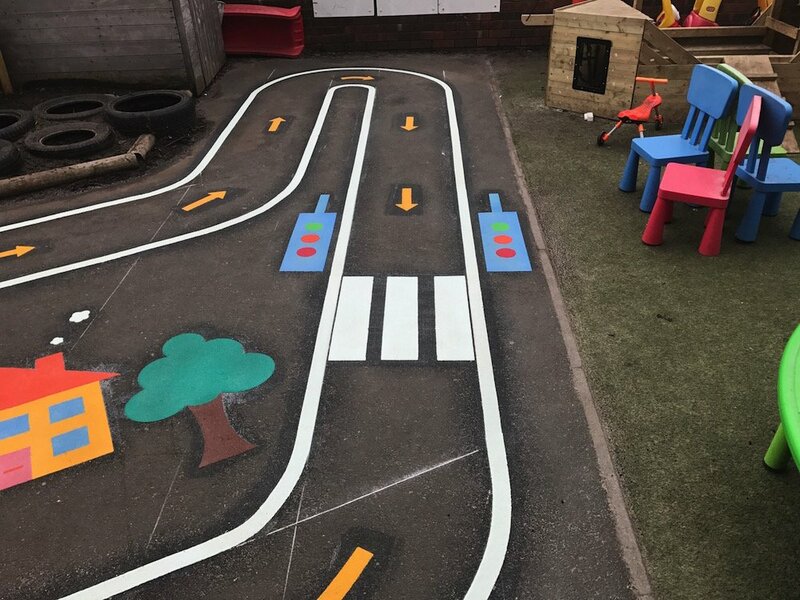 The staff were delighted with the final result and have just placed another order for a Dragon, a 1-64 Grid and an Activity Trail to be installed at another of their nurseries at Fenton Close.